Top point. In the mountains, a beanie is an essential item of equipment to protect from sun, wind and cold. Hypothermia or sunstroke can quickly put an end to your mountain adventure. 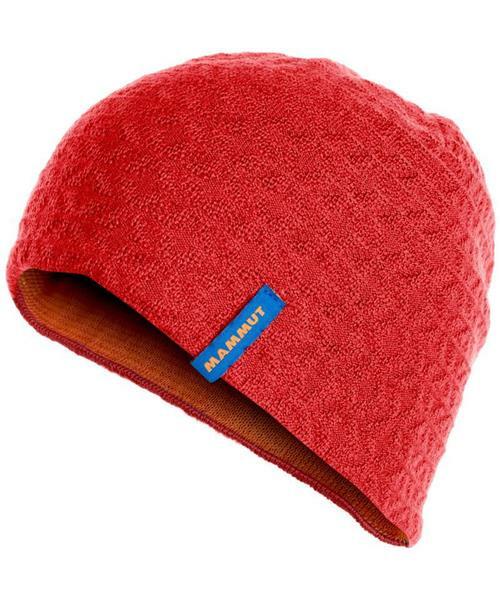 As well as looking cool, Mammut's Nordwand Beanie also features a reversible design. One side is made from warm and cozy wool and the other from quick-drying PrimaLoft® material. From sweaty activities to icy-cold conditions, with the Nordwand Beanie, you’re prepared for anything.